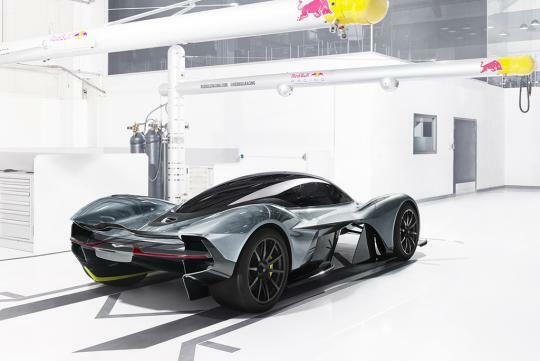 The Aston Martin-Red Bull 001, Adrian Newey's take on the modern McLaren F1, will be the next step in the hypercar world. 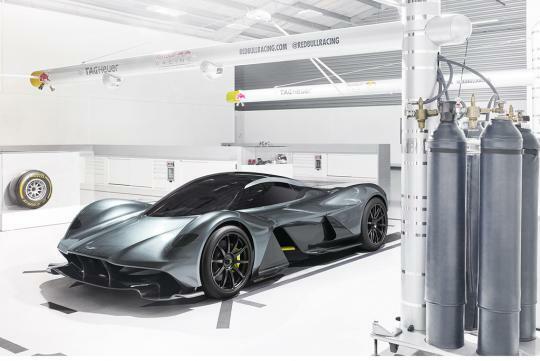 And to make sure that stays true, the company plans to use a naturally aspirated bespoke V12 unit that will rev up to 11,000rpm according to Marek Reichman, Aston Martin's Chief Creative Officer. As reported by The Drive, Reichman claims that the all new V12 will be smaller than the DB11 engine which uses a 5.2-litre twin-turbo V12. The engine in the hypercar is rumored to produce 900bhp and with the management aiming to keep kerbweight at an incredibly low 900kg, the 001 is going to be one mad car. To allow the car to have a similar performance on par to a LMP1 race car, Newey and his team will be giving the car the most advanced aero package seen on any road car. Passengers in the car is also said to be sitting with their feet above their hip point, copying the driving position of an Formula 1 car. When the car arrives on the road in 2018, up to 99 road-legal units and 24 track-only cars will be up for sale. Silly car. Why not just strap a jet plane engine on the car? What purpose does this car serve? All but the vanity of a few privilege. Does it add to the enhancement of our cars today? What about carbon emission? Have anybody realized how uncomfortable it is to sit like formula one driver? Why are R&D spend so much money building toys for just the few? Imagine the impact if they produce a car that runs on water. It baffles me what humans would do to waste resources and time.